We traveled in April to see kids and I love this part of our trips, I get to meet my sister in Hamilton, MO and visit Missouri Star Quilt Company. It's a Quilter's Fantasy Land. 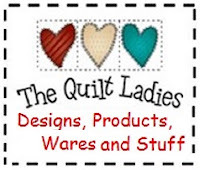 Since last September they have opened 2 more quilt shops. I think a total of 6 now opened and building is going on for a Visitor Center and Husband's Club House. This is fabric, not paper, I had to touch it, It's FABRIC ! ALWAYS ask to take photo's in a Quilt Shop ! Asked and it was fine, "Just share with all your friends." Visiting your loved ones are the most beautiful feeling. This feeling is define in a very unique way in this assignment service melbourne. I am sharing this blog for its awful creativity and style of explaining. I am sure, this will admire other people as well. There are a few recommendations for the general population who use word press in their every day schedule. These recommendations are additionally essential for papersplanet designers. I simply like this blog such a great amount of due to the substance of this blog. I am additionally thinking to impart this blog to concerned individuals. Roblox has analyzed many robox penetration generators and has reached a solution to give a real way to get robux free.